The Spring issue of the Washingtonian Mom magazine contains a profile of White House Press Secretary Jay Carney’s wife, ABC News’ Good Morning America correspondent Claire Shipman. The article features an interesting picture taken from inside their home. In the background, the photo oddly reveals that the couple has decorated their residence with two framed Soviet-era propaganda posters. Might these be collectivist subliminal messages? Or maybe it confirms President Barack Obama’s socialist/communist leanings as demonstrated in the selection of the members of his administration? 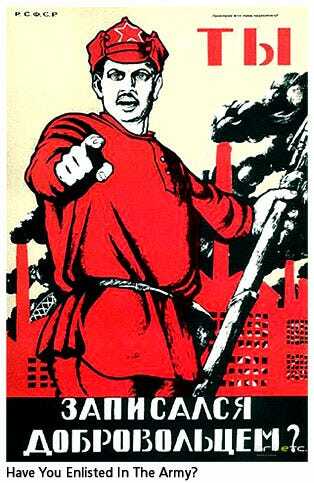 March on Ame-RED-ica to the HealthCare.gov website and enlist in the “people’s” revolution! 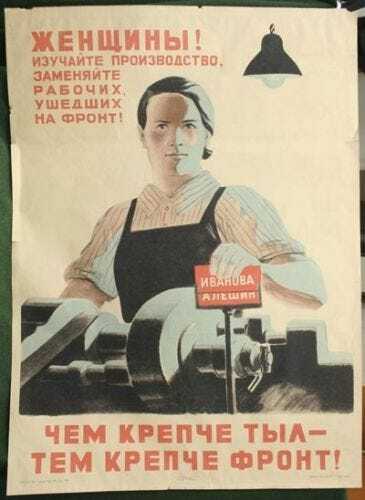 The other poster prominently features a female factory worker, which was printed on June 26, 1941, just days after Stalin joined the Allies to fight the Axis powers during World War II. IJReview poses this thought-provoking question: “What are the chances that Putin’s friends have pro-American posters at their homes?” Doubtful to say the least. To date, Carney has not responded to any requests for a statement about the posters. It’s hard to defend such outlandish home decor.